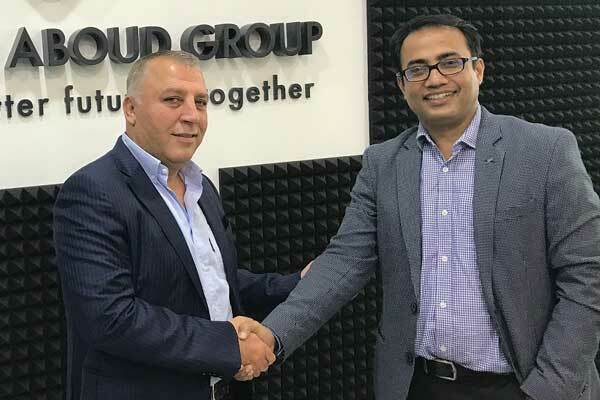 UAE-based multi-business conglomerate Ghassan Aboud Group was appointed as a distributor for export markets by Indian public sector petroleum giant Hindustan Petroleum Corporation Limited (HPCL) through its 100 per cent subsidiary in the UAE, HPCL Middle East FZCO. As part of the collaboration with HPCL, the Ghassan Aboud Group will market an impressive range of products including auto lubricants, industrial lubricants, asphalt, solvents and others, it said. “We are committed to deliver HPCL products across our extensive market network and achieve a progressive long-term partnership,” he added. “The partnership with the Ghassan Aboud group provides the ideal synergy to cater to the requirements of lubricants and other petroleum products in the assigned regions,” he said. “Both HPCL Middle East FZCO, HPCL's 100 per cent subsidiary in the UAE and the Ghassan Aboud Group are proud to partner together in this journey of mutual progress,” he added. HPCL is a Global Fortune 500 company with $35 billion in revenues that owns and operates the largest lube refinery in India producing lube base oils of international standards. A vital part of HPCL, HP Lubricants is India's largest lubricant marketer, which markets more than 450 grades of lubricants, specialties and greases manufactured in state-of-the-art blending plants spread across India, said a statement. The grades manufactured by HP Lubricants find applications in automotive, industrial, mining and construction, agriculture, fishing, defence and railways among others, it said. The Ghassan Aboud Group is engaged in the automotive, retail, media, real estate, hospitality, pastoral, catering sectors with presence in the UAE, Belgium, Australia, Jordan and Turkey, it added.